Here at Corral West Adventures we offer a variety of family fun adventures and things to do. In fact, with all our Horseback Riding Adventures, Sunset Rides, Wagon Adventures, Cowboy Cookout Adventures, Horse Adventure Kid Programs and a whole lot more, you could say Adventure is our middle name. Come see for yourself, once you have a taste of the beautiful Sonoran Desert and Historic Estrella Mountain Regional Park in Phoenix, Arizona, you won't want to leave. 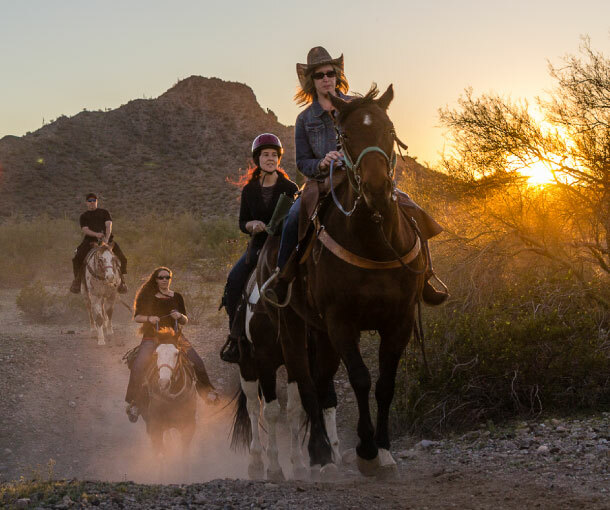 Come and join us on the beautiful trails inside the Estrella Mountain Regional park as you ride on safe, mountain horses through the Sonoran Desert of Phoenix, Arizona. Our horse rides include the opportunity to dress up and have fun in our boots, hats and chaps as your guide shows you the desert landscape, and describe life as it may have been 150 years ago, and educate yourself on the many wonderful things that make this incredible place we call home. 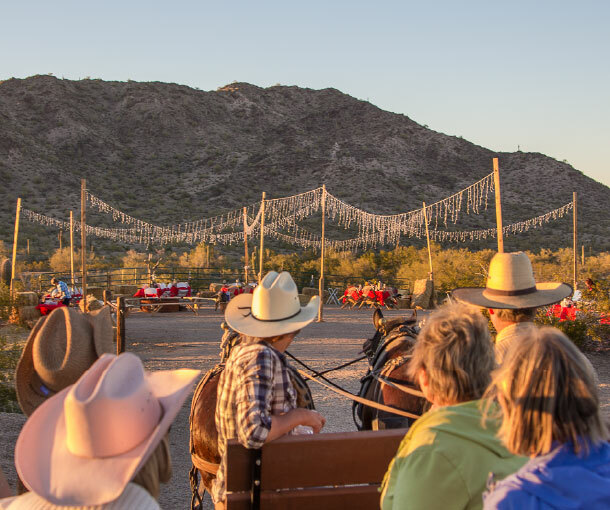 Enjoy a ride out to our beautiful remote desert setting with great western hospitality, that await you during this magical evening of western entertainment, mouth-watering cowboy dining, and a campfire, followed by s’mores marshmallow roast, for memories not to be forgotten. If you are looking for a venue, our custom wagon rentals are perfect for you! Renting our guided wagon is a great way to gather friends and family together and share a memory making event. Bring your own food, beverages and ideas to this evening of fun and laughter! This venue and way of travel really shows off the beautiful Sonoran Desert in a true western cowboy setting for memories to last a lifetime. Call 480-450-2651 or email us at Info@CorralWestAdventures.com to book your adventure today. 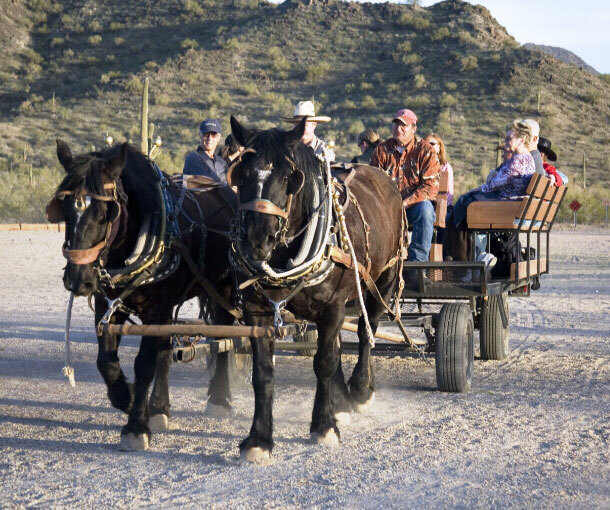 To provide a safe and memory making event to the recreating public desiring to access public lands through the use of horses in the Estrella Mountain Regional Park south of Glendale Arizona in Goodyear, Arizona. Safety and outstanding customer service are what we do best. We love what we do and is shows. Let us share Memory Making Horse Adventures with you.